Made of Silicone/Plastic and is dishwasher safe. 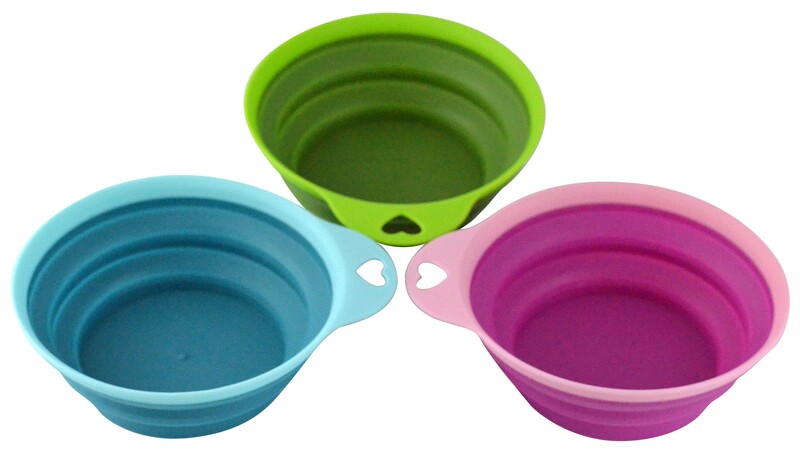 The perfect 3 piece collapsible bowl set. Great for your pets when traveling, college / dorm life, camping, or apartments/condos. Made of Silicone/Plastic and is dishwasher safe. Set comes in 3 colors: Green, Pink, and Blue. Each bowl holds 18oz.